Got some laminating you need doing for an event or section evening? Posters, Maps, Advertising, Worksheets etc. The District has an A3 laminator which for a minimal cost groups can use to laminate your print outs. N.B. You will need to arrange a time to come and complete your own laminating at the district office. Got some printing you need doing for an event or section evening? Posters, Maps, Advertising, Worksheets etc. The District has a Colour laser A3 printer which for a minimal cost groups can use to print hard copies. Simply upload your document, pay and arrange a collection time from the District Office. Going Hillwalking or visiting the Clogwyn Centre? Then you might need some maps! The District have three laminated 1:25000 Scale maps available for Groups and Explorer units to borrow. Going Hillwalking or visiting the Lake District? Then you might need some maps! The District have three laminated 1:25000 Scale maps available for Groups and Explorer units to borrow. 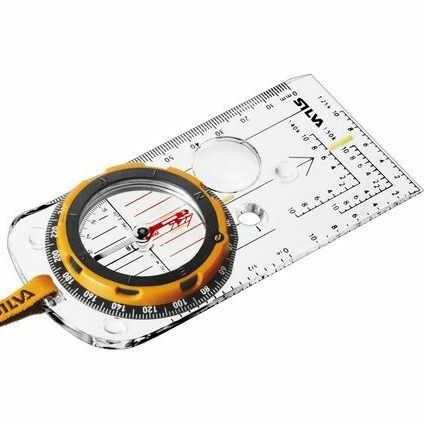 If you are in need of a traditional baseplate compass with high-end features, the Expedition is the perfect choice! The SILVA Expedition Series is for experienced users and professionals. The Expedition series has been a global leader when it comes to accuracy, precision and durability for many years. The Compass features an easy to use bezel (even with gloves on) with silicone rubber feet for precision map work. It has romer scales and a magnifier for close map work.